Why Should You Look For An Engagement Ring Review On weddingbee? Weddingbee is an all inclusive on-line blog that helps couples on any part of their beginning of the mutual life. You can find some tips regarding any topic that is related to a proposal, engagement parties, weddings, honey moons and much more. As you go thru all the weddingbee.com, you realize that you are stepping into a never ending world, with so many options, ideas and off course- a large range of prices. One of the most important things about weddingbee, is the variety of different people, brides to be, newlywed, just engaged and for sure some that are much more experienced and are only there to assist, gets the excitement! Mrs. Penguin seems to really be doing weddingbee straight from her heart! For over 7 years she is constantly looking for the next hot item on the wedding world, and it is her job of making this wonderful blog the way it is. Weddingbee does not offer any wedding or engagement rings vendors, as all the information you can find about, is related to others experience. For example, a search for engagement rings will direct you to a board of ladies who shows their engagement rings and opinions of them. Why Might It Not Be Helpful For Me To Look For An Engagement Ring On Weddingbee? Well, since Weddingbee is not all about engagement rings, it is clearly not as friendly as other on-line reviews that are all about engagement rings. Weddingbee does not offer any experts opinions about one engagement ring store or another, but a man or woman from the audience. It is clearly important to pay attention to this issue, since you may never know about the person behind the answers on these forums. The nicest lady in the world can write about the great deal she got for a 1 carat engagement ring, but who may tell? Is it really a 1 carat? What is the clarity? And about the color? and cut? As you may tell by now, as all on-line forums, you might be getting unbiased reviews from real married and engaged people, but these may not be as professional as ones from an on-line diamond store specialist. Founed on February 2006, Weddingbee is a wedding blog updated daily by 20+ real brides around the world. We feature blogs, message boards, classified ads, and image galleries, with a core focus on real brides’ wedding planning journeys from engagement to “I Do” and beyond. The site is updated around 20 times a day and is read obsessively by brides, grooms, bridesmaids, women, wedding vendors and industry insiders alike. Weddingbee is a free website designed in order to assist you in all aspects of your wedding. Weddingbee refers you to different vendors as catering, DJ, bridal dresses and off course- jewelries and engagement rings. You should pay careful attention to the fact that weddingbee does not represent any jewelries vendors, but it’s own visitors opinions and experience about their engagement rings and bridal set. Weddingbee is actually a complete wedding planning website, which includes all the information you need at one place. It is meant to be the friendliest assistance in order to walk you thru the fun but sometimes complicated, and always expensive and demanding. Why look here for your engagement ring? Well, at first it is nice to hear others opinions; second, we encourage you to think of getting a full bridal set- for sure you will get a better deal on that engagement ring, earrings, bracelet and necklace. Making a smart decision about what to buy and how much to spend, is highly important, and weddingbee really helps you understand you are walking into an endless expenses season. No. weddingbee is not a scam, it is an open blog, board or forum, where everyone can give his or hers opinion about their own experience. Could it be that some vendors plant their own opinions? Yes it could, but we didn’t find anything like that yet, and however, it might always be biased at some point. Weddingbee is a cool place to go thru while planning a wedding- as for planning a proposal, it is not as recommended as some other on-line websites, we believe that weddingbee are doing a great job, but it seems to us that it isn’t aimed at future to be couples, or singulars, looking for the engagement ring of their dreams. No log in is required, but as you try to look for engagement rings or other jewelries, we couldn’t find a special board for it, only thru the search option. We believe that a special section should be reserved for a future to be couples, and make it easier and planned well. That section might not be as relevant, since we could not find any engagement rings reviews in an organized topic. 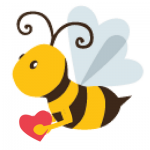 Weddingbee puts its customer’s opinions up front; there is no vendor protection, which makes most comments authentic and real. We couldn’t find any signs of biased posts, unreasonable comments or so. By the type of posts, comments and stories, we find everything on weddingbee regarding engagement rings as transparent, as we sincerely believe that it is all made by real people, with real experience. Do not post in Wedding Bee. I came to their forums looking for support. Instead I was disrespected, abused, and bullied. I would not recommend their website to anyone, and the moderators did nothing to help me. I agree with you! They people completely misunderstood what I had said and even when I clarified that they misunderstood it they still proceeded to call me names and bash on me. Then they called me bratty and to stop throwing a tantrum for defending myself against their accusations. They didn’t care at all that it was a misunderstanding and what they were accusing me of was not at all what was happening. If I could give them zero stars I would. Very rude and disrespectful people on there.